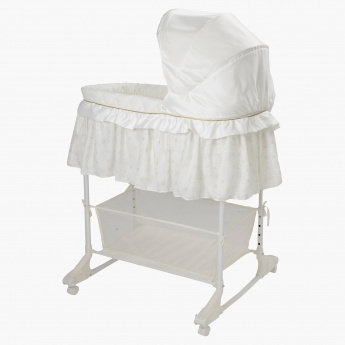 Giggles Bassinet | White | Its height can be adjusted. Save AED 0 (0%) Earn 189 Shukrans What is Shukran? Shukran is the Landmark Group’s award-winning loyalty programme in the Middle East, which allows you to earn Shukrans when you shop any of our brands. 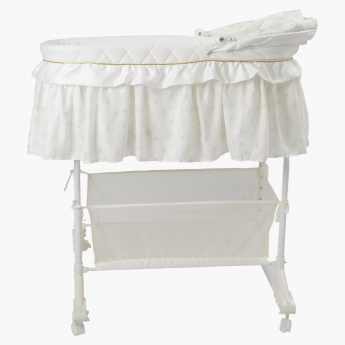 With a canopy and printed fabric, this bassinet is an adorable pic for your kid. 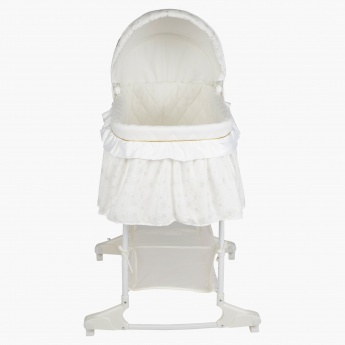 Featuring a quilted cushioning, it will keep the kid snug, happy and cosy. 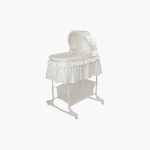 Feature 1 : Its height can be adjusted. Feature 3 : Made from steel and fabric. Feature 2 : It has a basket for storing and can carry 9 kgs.